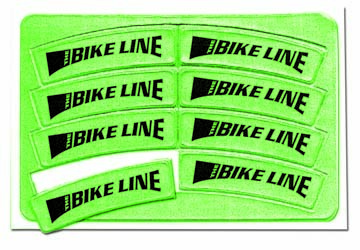 Light up your dark bike or motorcyle tires with Tirelites self-sticking tire reflectors. They come 8 reflectors per set. Tirelites have an aggresive adhesive to adher well to a tire. 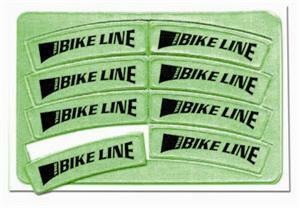 They may be customized with your logo using the same or different copy on each sticker.